Stuart Semple and the Culture Hustle team reinvented their formula for the blackest of paints and beta tested this together with a group of creatives that were able to get their hands on a beta sample. There is now a Black 3.0 paint launched on Kickstarter so you can buy the darkest available paint yourself. After the thorough beta testing process, the already successful Black 2.0 has been improved dramatically. 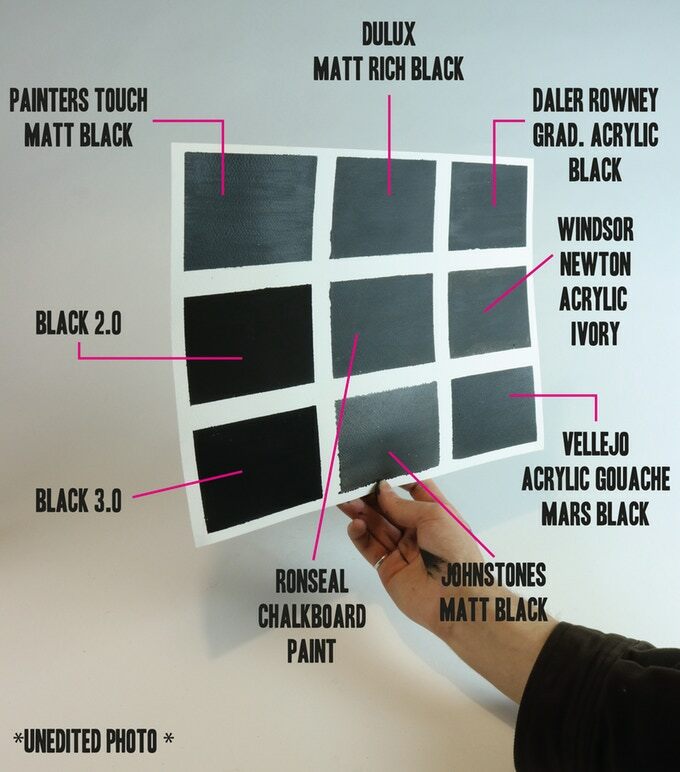 Black 3.0 outperforms any matt black paint on the market right now absorbing 98-99% of all visible light. There’s again a very nice disclaimer for Vantablack owner Anish Kapoor stating he’s not able to buy Black 3.0. If you’re not him you can pre-order Black 3.0 by backing the campaign. You’ll receive some nice additional merchandising choosing different perks. For a little over thirty bucks you can own one of the first production batches which is scheduled to ship in March 2019. While waiting on your Black 3.0 paint, you can still buy Black 2.0 to hold you over.